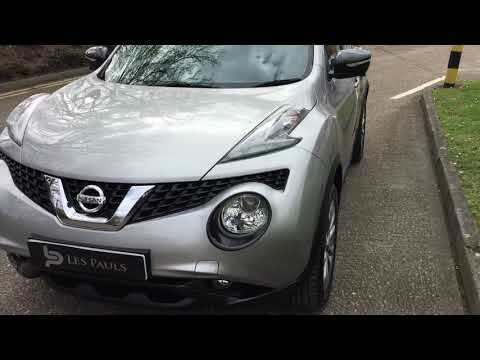 This perfect example of a Nissan Juke Tekna in Silver. The Juke is extremely popular due to its sporty quirky looks, practical space throughout and terrific driving experience. The Tekna is the top of the range and comes with heated leather seats, Satelitte Navigation, Bluetooth, Cruise Control, Rear Camera on top of 17" Urban Alloy Wheels.